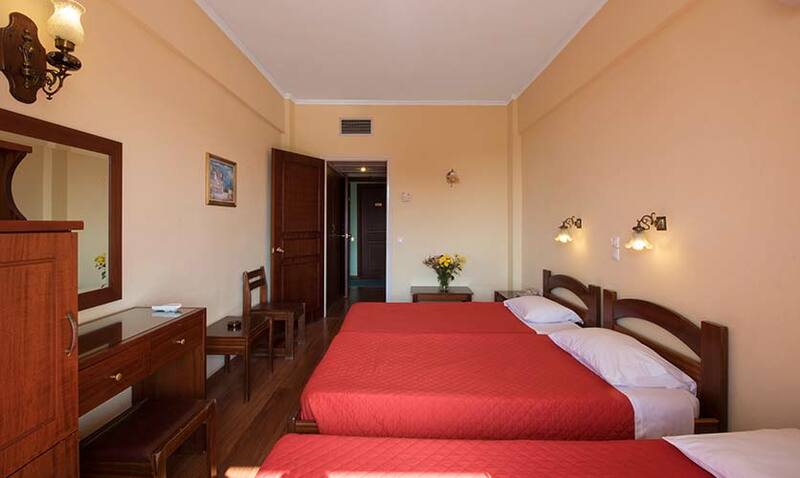 Sunset Hotel is strategically located in the center of Corfu island. 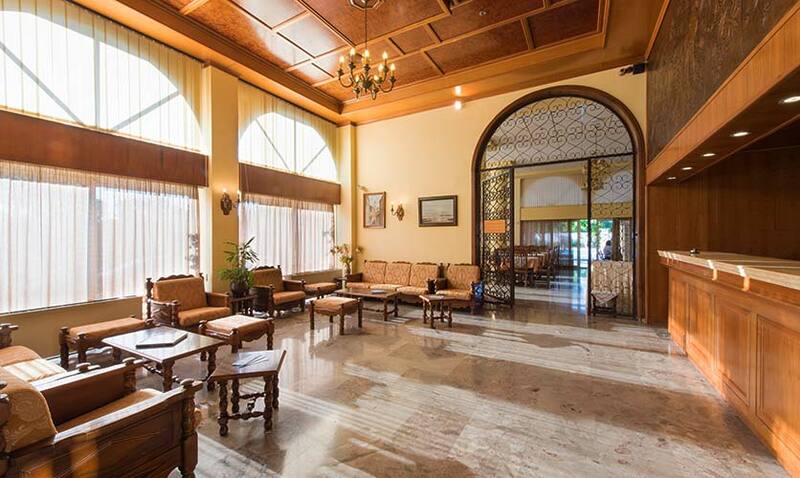 It combines the ease of your journey from the harbor or the airport with convenient access to the city. Overlooking the sea and the countryside is the ideal choice! Spacious, warm and clean rooms with balcony, bathroom with shower, TV, air conditioning, safe box tasteful decoration and view. All room types are available to meet your every need. 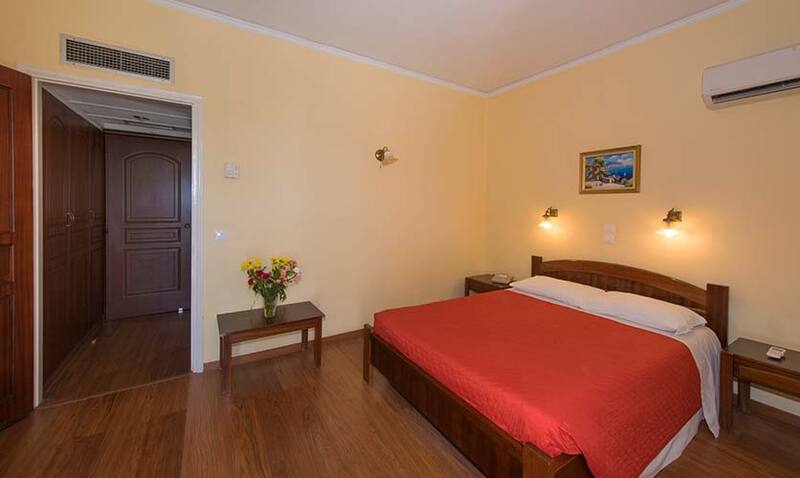 In Sunset Hotel Corfu our effort to ensure luxury and comfort for our guests is continuous. The services and activities you can enjoy in Sunset Hotel Corfu all year round are especially designed to fulfil all your needs. Relax in our Pool bar and enjoy a refreshing drink or cocktail. 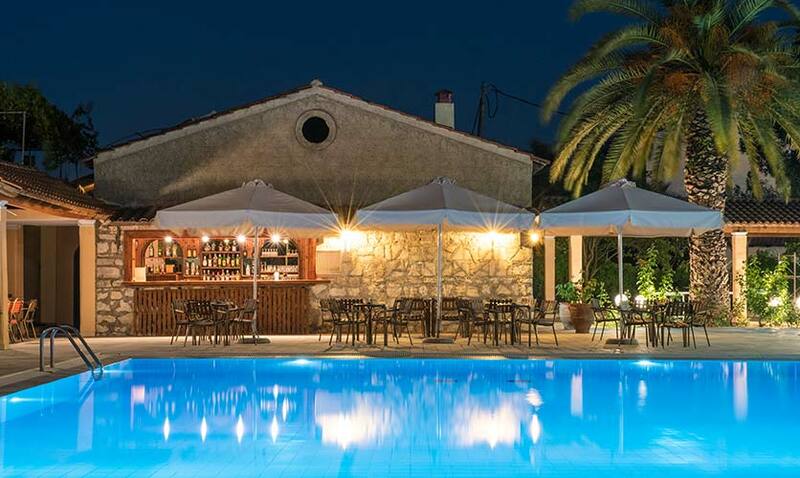 After sunset, the hotel Pool bar is transformed into a romantic setting with candles and background music, creating the perfect atmosphere, where you can begin or end your evening in Corfu. 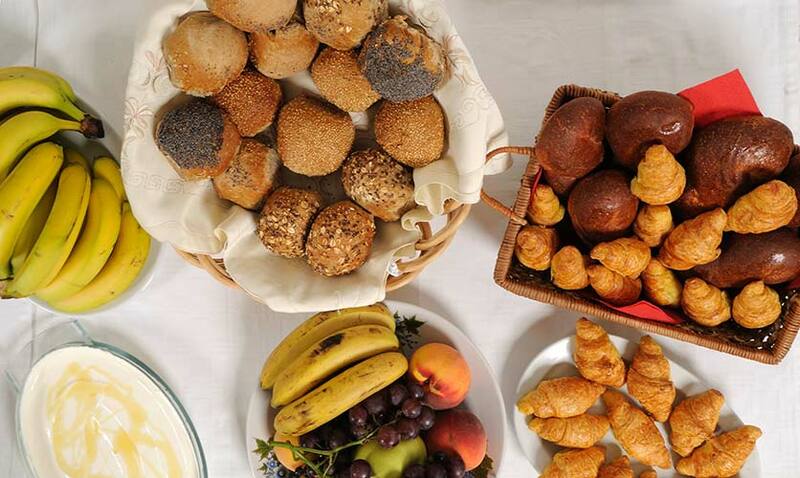 Enjoy a great breakfast at our poolside restaurant and start your wonderlful day in Corfu! Take advantage of the free wifi in all our hotel rooms for your work or your entertainment. Our people are here for you 24 hours a day. Do not hesitate to ask for our help and we will try to satisfy all your wishes. The private parking of our hotel will make it easier for you to travel. Take advantage of our facilities for your car or bike. Cleanliness is always our top priority. 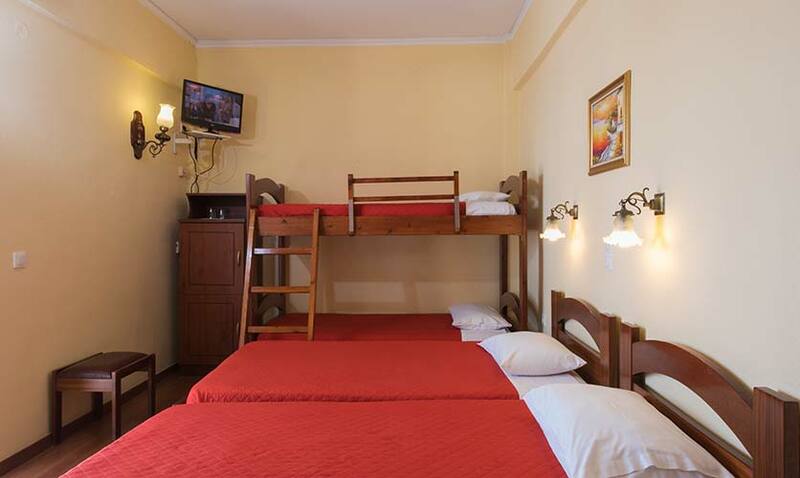 Each room has a balcony, central air conditioning, TV, a bathroom or a shower, safe box, a telephone and free WiFi. Please let us know your specific wishes and we will do our best to satisfy them! 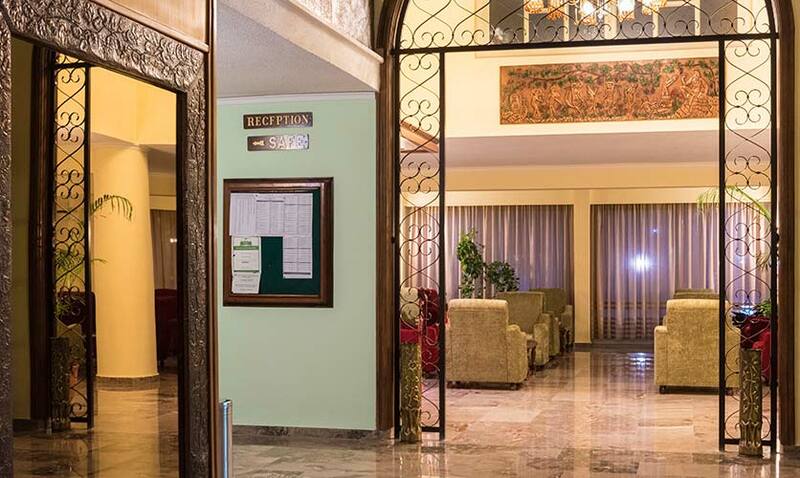 Take advantage of our hotel facilities for your entertainment, meetings or business appointments. Whether you are looking for the romantic moment at the pool bar or the beautiful, warm and friendly environment of our main bar, we are here to satisfy your wishes! Take advantage of the private parking of our Hotel in Corfu in order to park your car or motorbike in aample private parking spaceright in front of our hotel. 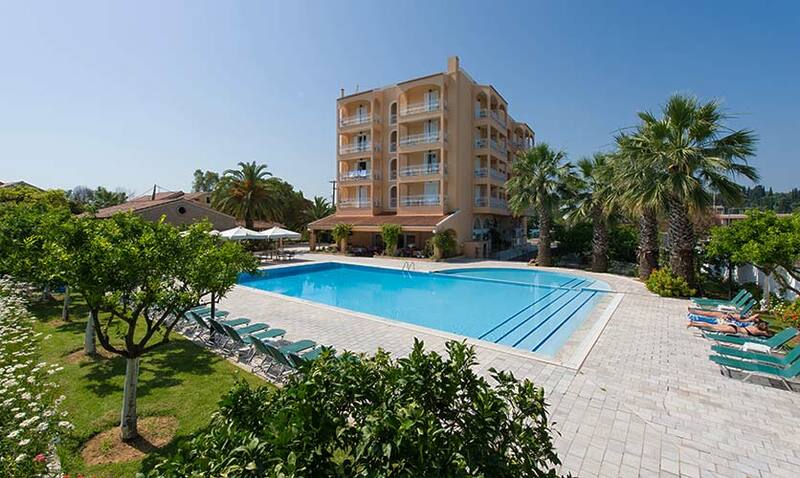 Our hotel in Corfu offers free Wi-Fi internet access to all its guests. The aim of our technicians is to meet all modern requirements of our visitors, in order to have constant Internet connection, for their entertainment or work. 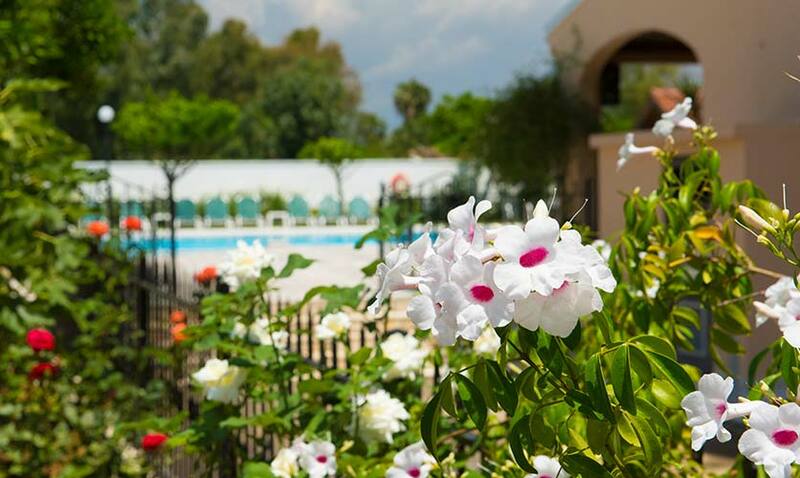 The swimming pool of our Sunset Hotel is an oasis of coolness in the city of Corfu. During the winter months, it is the ideal view from the restaurant, while in the summer you combine your stay in our hotel with sunbathing and a Cocktail from the Pool Bar or a cool salad from our menu. Our little friends can play on the children’s pool! 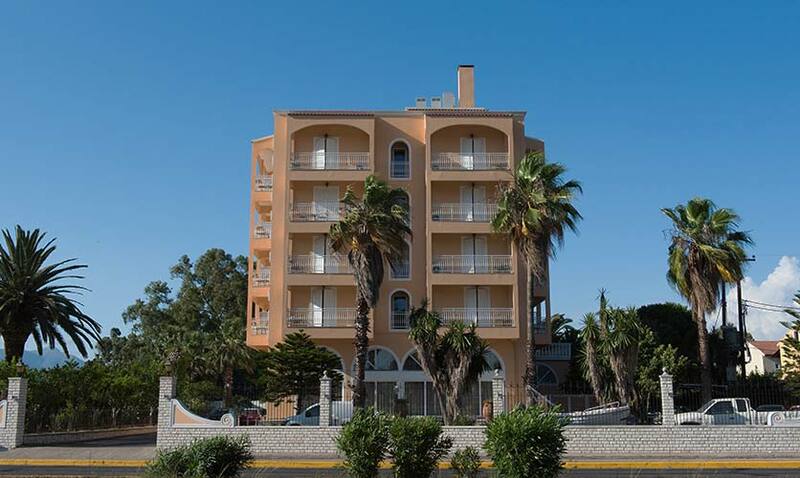 We, the people of Sunset Hotel in Corfu, know very well all these years of our operation that whether you are coming in Corfu for vacations or a business trip, you want to be close to nature! This is why, every day, we take care of the surrounding gardens area of our hotel, with love and taste! 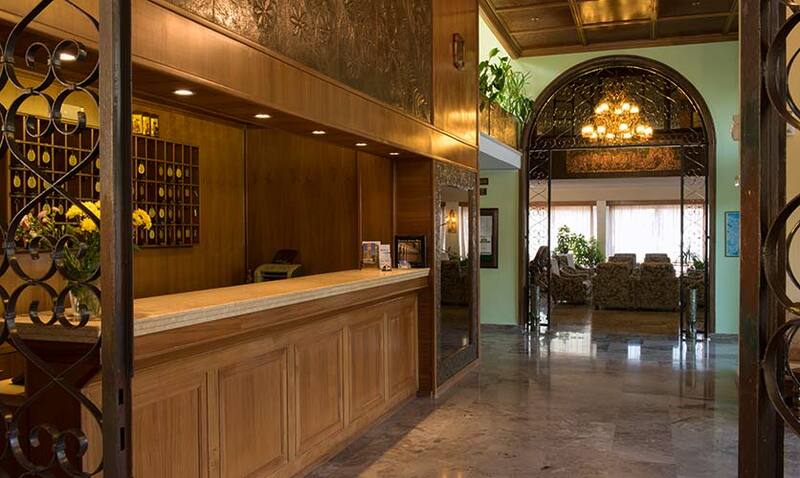 On Sunset Hotel Corfu you will find specialized staff ready to serve you with a smile 24 hours a day. Do not hesitate to contact us if you have further requirements and we will try to meet your expectations with the consistency and professionalism that we always have! 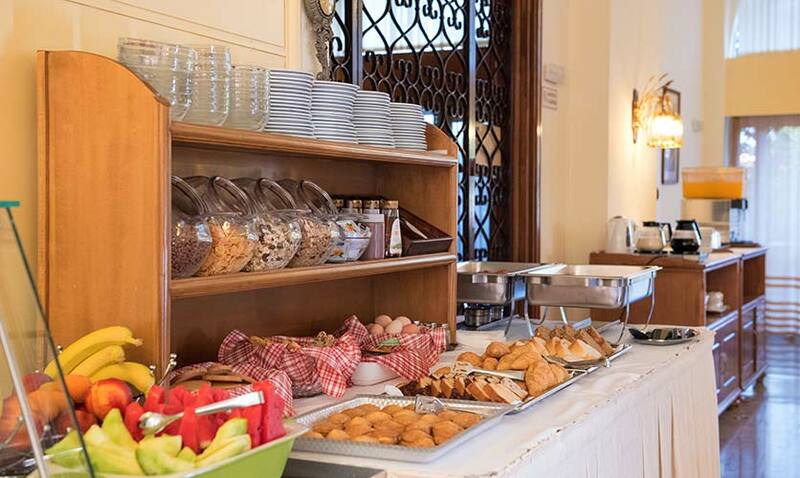 At Sunset Hotel Corfu you will find every morning a wide selection breakfast buffet in order to start your day with a rich and balanced way. Every day quality products are used by our experienced staff with our main concern your healthy and quality diet. Durrell, inspired by the enchanting landscapes filled with crystal clear waters, has devoted one of his books to Corfu. Unique and special, full of history and sightseeing. Everything starts from Liston area. Stayed at the Sunset for a couple of nights at the end of our holiday. Fantastically looked after by Maria, Vassilis and their staff. 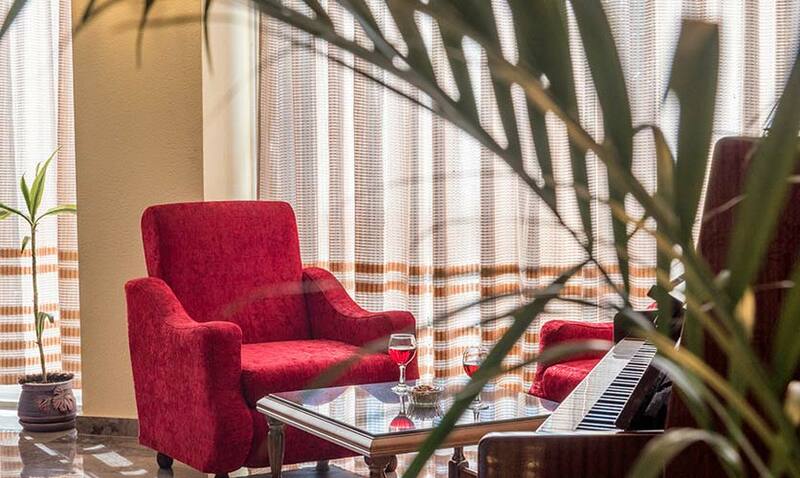 The hotel has recently undergone a refit to a high standard so facilities were excellent. Would reccomend and we will not hesitate to stay again when we are next in Corfu. I was impressed than what I thought. It’s very clean & excellent wifi service even in pool. Very nice place location and friendly staff. The staff was very friendly and helpful. We asked for some place where to go and they recommended very good ones. 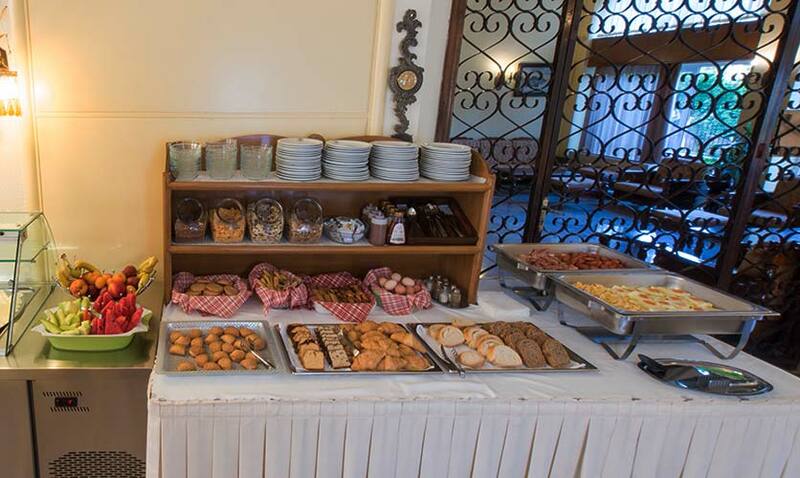 One extra point for the breakfast…a lot of choices and all good.